St. Lucia has become one of the top Caribbean countries to travel to in 2018. I am sure you are planning your 2019 trip as we speak. We have travelers from all over the world who visit this beautiful island every year, and without them, this blog would not be possible. Here is how another traveler enjoyed her stay in St.Lucia. Saint Lucia had been on my bucket list for ages: the magical Pitons, lush tropical rainforest climate, and the beautiful beaches appealed to me instantly. I was so lucky to have been able to visit this beautiful island and I would recommend it to anyone. When arriving on the island, from the plane you can already see the famous landmarks and the lush tropical colors of the land, as well as turquoise oceanside, Immediately giving you the ultimate holiday feeling. We stayed in Sandals Grande St Lucian, which is all the way north of the island so quite a drive from the south located the airport. However, this is also immediately a unique way of exploring the island. Our driver was very friendly and told us the island’s main landmarks, the best places, and excursions to make the most of our holiday while also pointing out fresh fruits hanging from the trees, little villages and more. Our hotel was great as well: amazing, friendly service, very good food, good facilities, and the location- right on a beautiful beach was perfect. The main reason why we choose St Lucia for our holiday was that it has the best of both worlds. There are beautiful beaches where you can relax all day, but there are also plenty of activities and things to do. We love a combination of relaxing on the beach and exploring the country that we are in, so it was perfect for us. Sandals Grande is located next to Pigeon National park, a historical site where you can go on beautiful hikes with amazing views over the island and also learn a bit more about the history of the island. It is nice to go there in the morning and spend the rest of the day relaxing. Our favorite excursion was a speedboat tour to the Pitons. We snorkeled under the famous landmarks, we looked 10 years younger after the Sulphur Springs mudbath and showered in lush waterfalls. It was an amazing day out exploring the island and experiencing the island’s culture. St Lucia has plenty more to offer. We also went on a boat trip spotting whales and dolphins which was amazing, and on a sunset evening cruise. As you can tell we love to be on the ocean, but also on land there is plenty to do. Touring operators offer quad bike adventures, hikes on the pitons and zip lining through the rainforest. It is also possible to experience more of the local culture and learn about the islands local foods by following cooking courses and making your own local treats. Don’t miss the street party- it is on every Friday and it’s the best experience for people who want to live like the locals for a night and party the night away! Long story short: In St Lucia, there is something for everyone! Well, there you have it, everyone. This is how Kaylee and her partner enjoyed her time in St. Lucia. 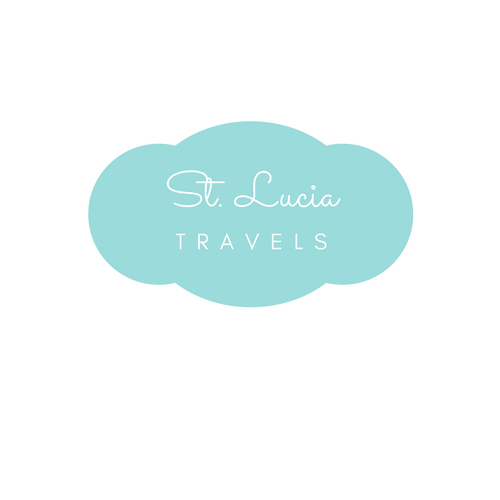 We love hearing about your adventures in St. Lucia, so feel free to send me an email about the amazing time you had and we will be sure to post it on the blog. Hope to hear from you soon!!! !